Are you ready to finally see how Microsoft has improved its best tablet yet? The Redmond, Wash.-based tech firm is set to show off its Surface Pro 4 today in New York City, along with its leaked-to-all-hell Lumia phones and possibly a sequel to the Microsoft Band. Rumors are swirling that we'll see some Xbox One and HoloLens related announcements, but we're hedging our bets on those. And, of course, we expect to hear when Windows 10 Mobile will launch – for real this time. 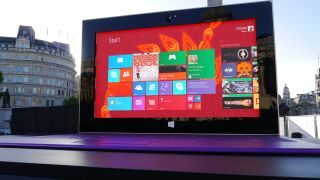 Now, how can you watch it all unfold alongside the techradar crew? We thought you'd never ask. Now, wasn't that easy? However, Microsoft hasn't been clear as to which format the event will be live streamed in, so it would be safe to ensure that your version of Microsoft's Silverlight player is up to date. You can find updates for that here. In the event that Microsoft chooses YouTube for its live stream platform, then you're just fine. Because YouTube works through HTML5, no updating is needed on your end to access its videos. Until the event starts today at 10am EDT (7am PDT, 3pm BST, 1am AEDT 10/7), stay with techradar for updates leading up to, during and following Microsoft's biggest event of the year. So, how's Windows 10 doing?